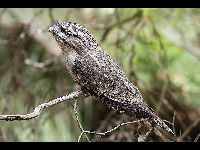 Frogmouths feed on insects, other birds, mammals and amphibians. Frogmouth birds have large heads and short necks. 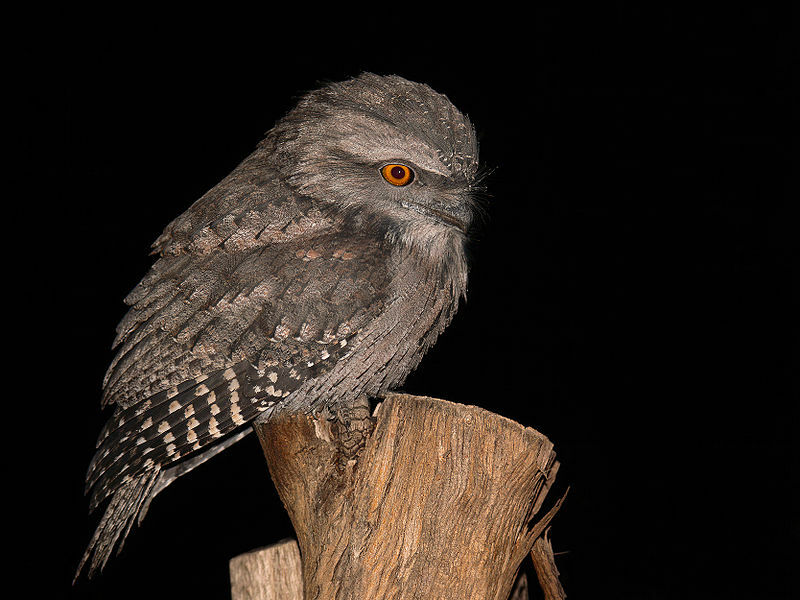 Frogmouth birds can open their mouths in a wide gape for catching insects. 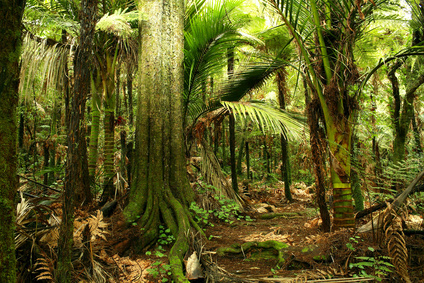 Frogmouths hunt primarily at dawn, dusk or nighttime.